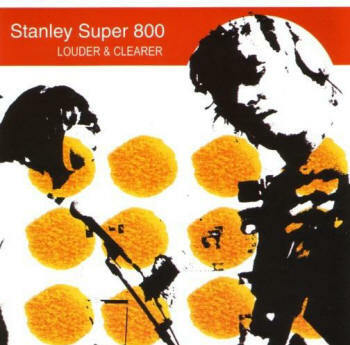 Stanley Super 800 answer below the questions CLUAS put to all 10 acts nominated for the 2007 Choice Music Award. Check out the answers from the other acts up for this year's award. The awards run by Telecom companies to get everyone texting on their network are daft and the other kind run by big record companies to slap each other on the back are fairly daft as well. The Choice Prize is needed now because the general music fan in Ireland knows more about the underground scene in Britain and the U.S. the what's going on outside their own door. Maybe in a few years time it will be gone but there's nothing like exchanging CDs for needed cash after a storming gig. Not until television and radio give more air-time to Irish made music - we're whistling in the dark otherwise. Trost (in Pine Lodge, Myrtleville) and Fish Go Deep (at Cork X Southwest, Skibbereen). Be a good father. Stop smoking. Learn the Jews harp. Distribute - Our music is about to go up on Vodafone and iTunes soon. I'm not sure if we can make money from it though. Here's a useful currency converter.